India Festival, India Festivals, Indian Fairs, Fairs India, India Fair, Indian Festivals, India Festival Travel, Indian Festival Tour, Indian Festival Travel. India is a rich land which has attracted invaders from Central Europe and Asia who left their imprint on this land, its religions and its lifestyles over 40 centuries. The Greeks , under Al-exander the great, travelled as far down as the lower Indus River which they mis pronounced as the "Hindu River" Consequently, all the various in vaders, with their conflicting faiths, who inhabited the land of the Indus River were called Hindus and their land, Hindustan. It was shortened to "HIND", then "IND" and finally INDIA. 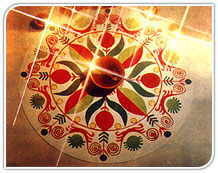 Festivals in India are determined by the Solar & Lunar positions & they may fall in a different month as specified here. Kindly contact our members for exact date/ month of festivals/ fairs in India.